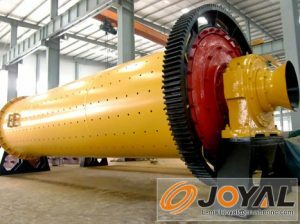 What is the difference between the ball mill and the Raymond Mill? From the way of work, the Raymond Mill is the work of the need to crush the ore and other materials from the side of the hood into the machine hopper, relying on hanging in the host plum rack on the roller device, around the vertical axis Rotation and autobiography, due to the role of centrifugal force, roller swing outward, press the grinding ring, so that the shovel shovel material from the grinding roller and grinding ring between the roller rolling and rolling to achieve the purpose of crushing. And the ball mill work ore and other materials through the transport device into the crushing chamber of the first warehouse, relying on stepped and corrugated liner, as well as the collision between the ball, rolling pressure on the material and Grinding effect, and ultimately achieve the grinding effect. The final powder is discharged through the discharge grate after the processing of the first bin and the second bin. Ball mill mainly by the feeding part, the Ministry of the material, the Ministry of rotation, transmission and other major components, with wear-resistant liner, grinding strong, can be used for a long time, but the shortcomings of large area occupied.